When you take the leap into freelancing and self-employment, it’s really exciting at the start. Eventually, the honeymoon phase wears off and you comfortably adjust to life as a freelancer, which, in all honesty, is a really great deal. You get to run your design business the way you want. Work with clients you like. Make as much money as your schedule allows for. Live and work from anywhere in the world (and move as frequently as you want!) This business is yours to shape and mold into whatever you want it to be and to support whatever sort of lifestyle you want to lead outside of it. That said, while the structure of the business may fully be under your control, the income you make from it is not. Every country holds its residents accountable for paying taxes. When you have an employer, they typically handle this for you. However, since you’re self-employed, the responsibility lies solely with you—which is no easy feat. In the following post, I’d like to first take a look at freelancer’s biggest concerns when it comes to taxation. Then, we can dig into best practices for managing and paying your taxes on time. 17%: knowing what to deduct to reduce overall tax burden. 10%: were unaware of how to pay for their taxes. 10%: business losses exceeded profits and so they didn’t owe taxes. As you can see, there’s a lot going on here. Many freelancers worry about preparing tax payments correctly (which is a valid concern) while others simply don’t know they have to make them. Then there are the 32% of freelancers who choose not to report all of their income to the government. Rather than be confused or misinformed about what taxes mean for your business, or improperly handle your taxes and put your business in danger as a result, let’s talk best practices. One of the reasons freelancers struggled to make tax payments on time, according to the QuickBooks survey, was because they hadn’t calculated estimates correctly. Now, that’s likely to happen anyway, but it usually works in favor of the freelancer… unless the error is because you made more money than expected. To avoid this problem, pay closer attention to your income. Download reports every month that provide data on how much money you made (and by “made”, I mean actually collected from clients) compared to how much went out the door in expenses. By staying on top of your changing revenue stream, you can more accurately estimate how much you owe in taxes. You can also adjust your rates if you find that you’re not making enough to stay up on payments. In some countries, taxes are owed to the government quarterly. In others, you only have to pay once a year. In my opinion, neither option is ideal as it can lead to a more lax attitude about saving up enough money to make payments on time. Instead, I would suggest you mark your calendar once a month. Even if you don’t want to go through the hassle of submitting payments to the government every 30 days, you can at least do your calculations and put that money aside in a dedicated account. The dedicated account is crucial as it keeps that taxed income safe from other expenses and ensures you don’t have to face any late payment penalties later on. Hiring an accountant can be quite expensive, even if you only retain their services during tax season. Thankfully, accounting software can automate a lot of the work an accountant would otherwise do for you. It will also spare you the trouble of having to manually keep track of your finances on a regular basis. 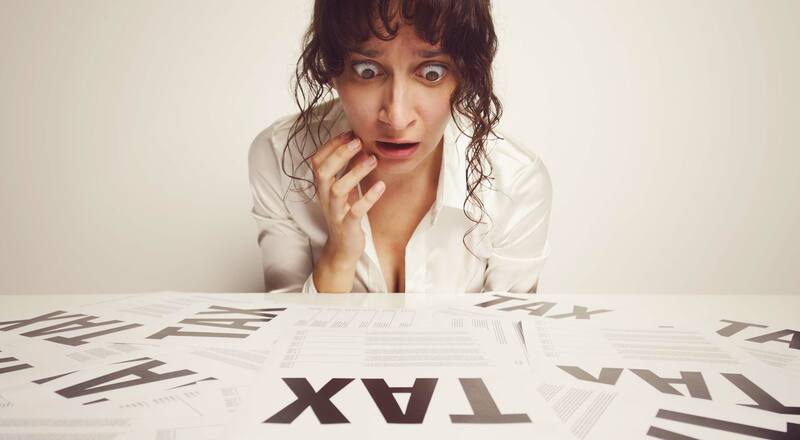 Alert you to upcoming tax deadlines. Some accounting software may even integrate with your tax software, so the uploading of the year’s financial information can be streamlined as well. It doesn’t matter if you’re working full-time or part-time as a web designer. If you’ve earned revenue for your business, and it exceeds the minimum taxable amount defined by your government, then you have to pay taxes. The matter of taxes can get complicated, though, if you wait too long to handle them, so have a plan in place that allows you to prepare for tax payments all year long.